When you started camping, what sort of shelter did you choose for your camping adventures? Or did you choose a caravan? These are all perfectly good options and probably work really well for you and the way you like to camp. 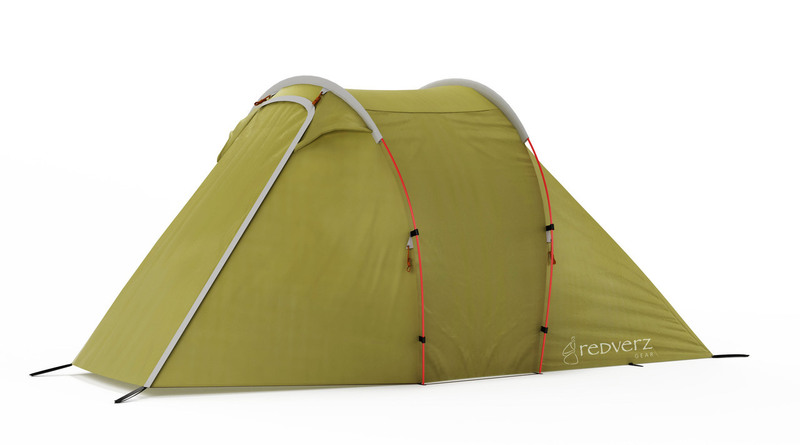 But regular readers of our blog know, we also like to show you some different ways to camp, new innovations and sometimes, the more off-beat camping gear. Today is no exception. 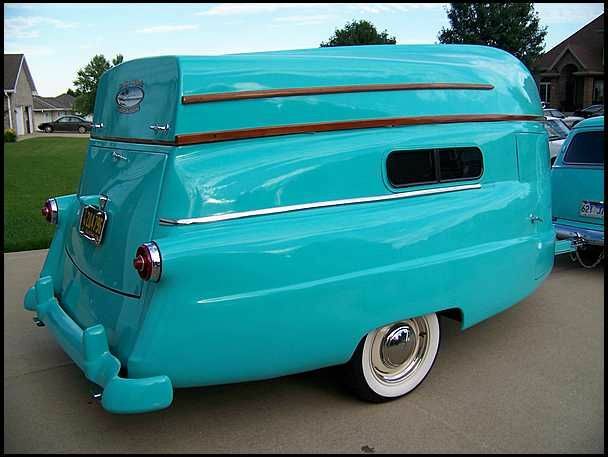 If you loved this concept from the 1950's - Kom Pak Sportsman (seen above in blue) which was a trailer with a boat on top (the boat was the roof of the trailer, so if it rained when you were using the boat, the trailer insides were going to be wet), then you are not alone in admiring it. 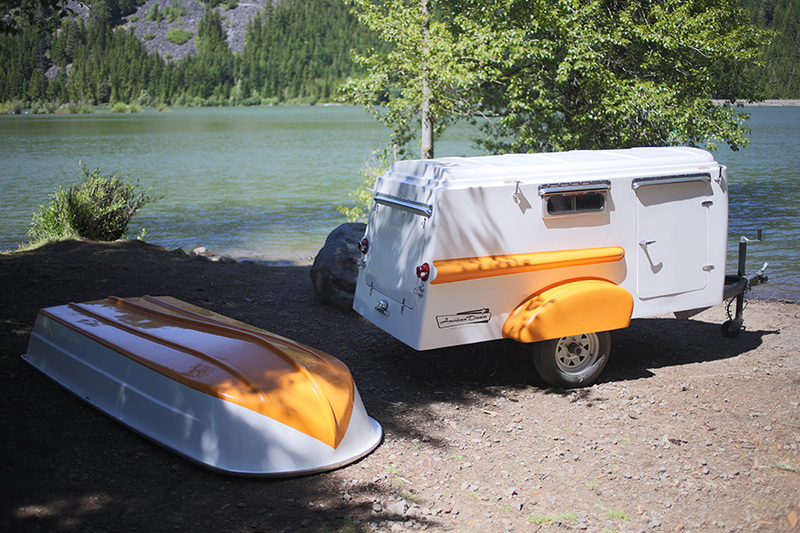 It's been brought back to life by American Dream Trailer, with the slight difference that this new model, still has a roof when the boat is off! So that's a big plus. See photos below. Estimated starting price is US8900 (and that is the basics, you then customise it to your own specs) and not available here (unfortunately), but it's still nice to see. What sort of camper would this suit? Campers with nothing to hide and nothing sharp. 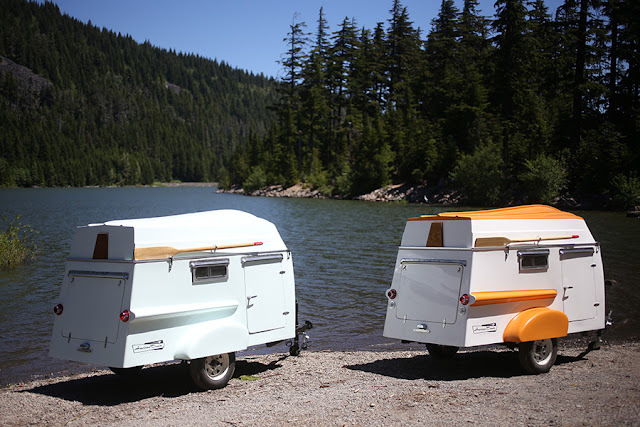 This is for real, and is available for purchase at $2500, and is marketed for the campers who aren't the shy and retiring sort of camper. In fact, there are a lot of these bubble tents on the market - I just narrowed it down to this one, which was one of the more private ones available. Not everyone who camps does so in a car. 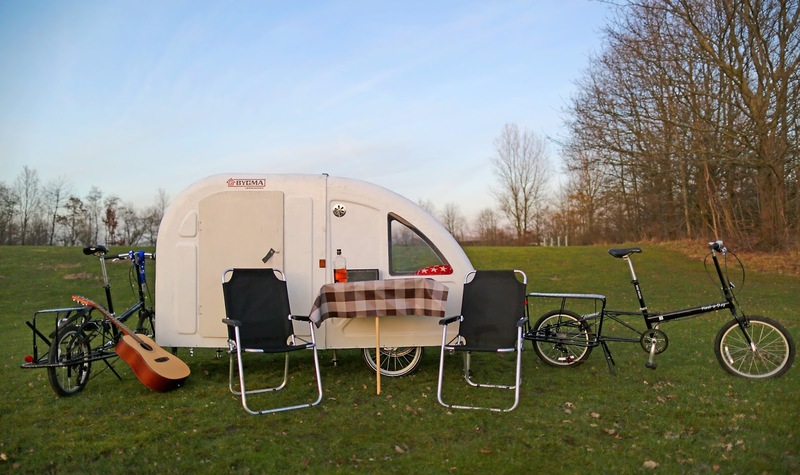 For many, seeing their country is done on the back of a motorcycle, and from a camping perspective, these campers need to be catered to as well. The Redverz Solo Expedition tent, allows you to hit the open road on your bike, plus have a tent that caters for you and your vehicle. 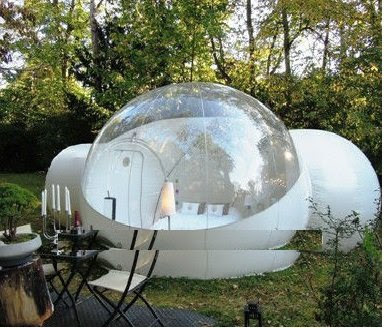 You can also get tents that accommodate more than 1 person as well. What sort of camper would this suit? Glampers, futurists and probably, people with a lot of money. This has been touted as the "future of outdoors accommodation".....Or a fully functioning caravan, when it has its undercarriage on (and can be pulled by a pack animal if you don't have a car). 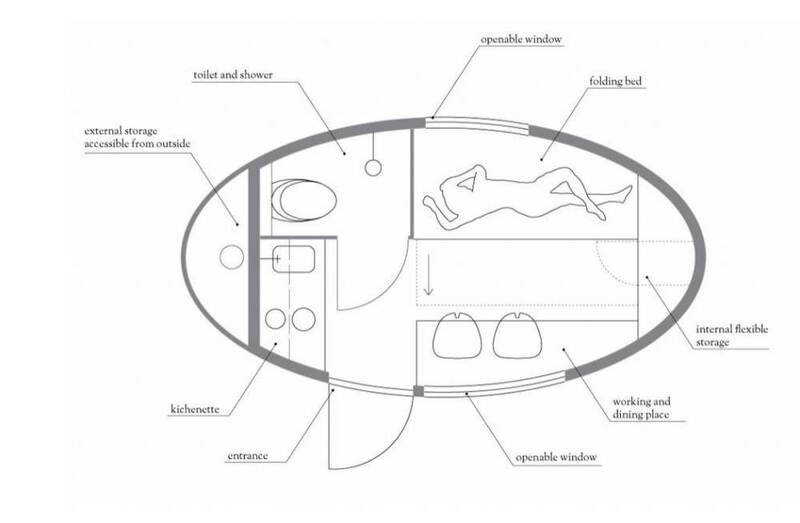 Whilst it's small, it packs a lot in - with sleeping for 2 adults, kitchenette, toilet, hot shower, powered by solar and wind turbine, and has a rainwater collection. It certainly looks amazing, and is due to be ready for purchase in 2016 (no price available yet). 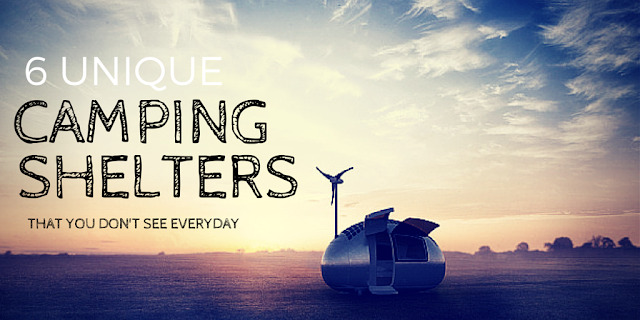 You can read all about the Ecocapsule here. What sort of camper would this suit? Campers who can't put a tent up. If you find putting up a tent a problem, then you are not alone. The inventor of this tent, wanted something that was a cinch to do! Hence the name. 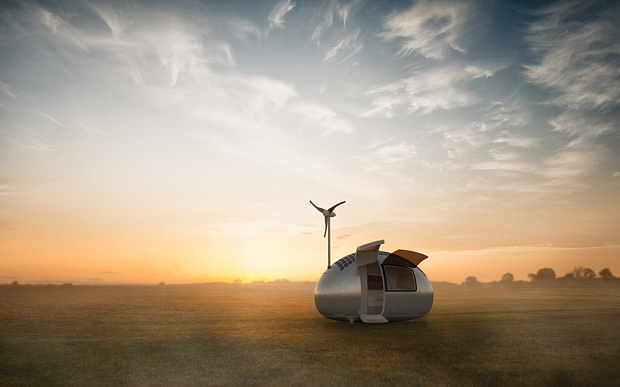 It just pops up, like a pop up toilet shelter - but its bigger! 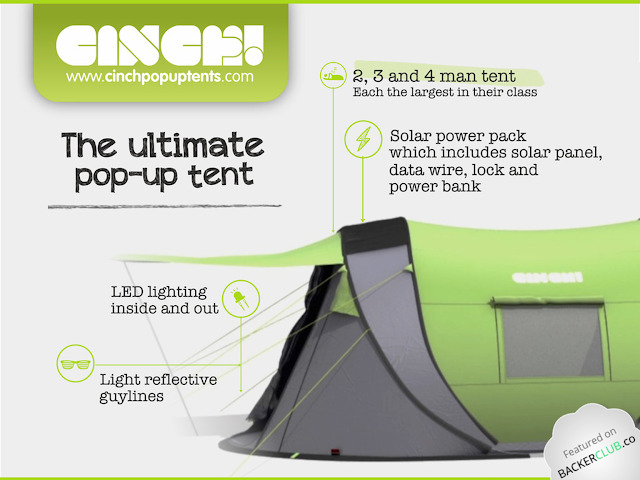 The tent is fully waterproofed, has ventilation system, superflex fibreglass poles, thick bathtub groundsheet and comes with additional solar kit including solar panel, data wire, lock and power bank in order to offer green energy to your mobile devices, packed LED lanterns, and tent pegs. 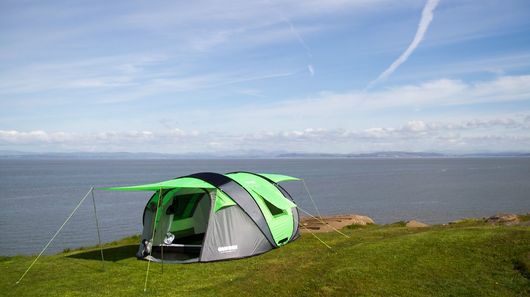 Now for me, who struggles to pack away the toilet pop up tent (despite numerous times of being shown how to do so, and I still can't get it right), this might prove even more challenging but I can see the benefits of it, as who doesn't love a fast set up of a campsite?? Faster you do it, the faster you can enjoy yourself! Riding your bike is a fantastic way to see the sights, plus get fit at the same time! 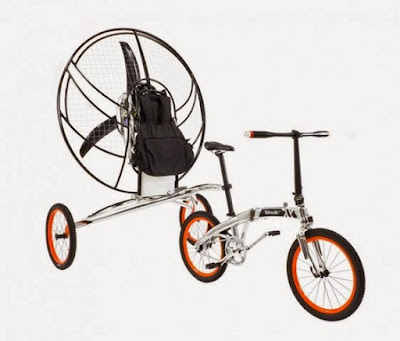 But we all know that Australia is a big country to see on bike, so wouldn't this be great for the cyclists? Their own little caravan. 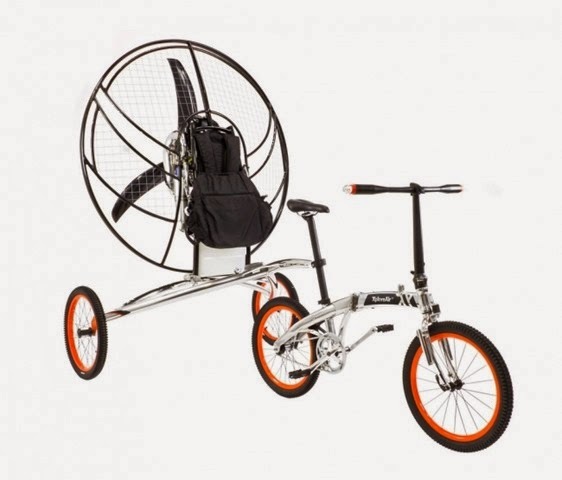 Plus its environmentally friendly way of getting around, which is another benefit! 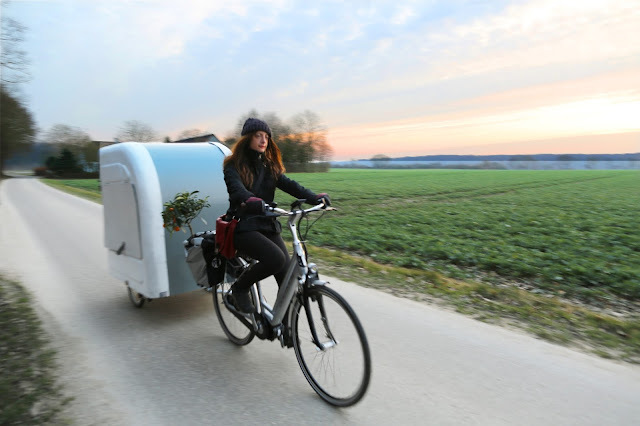 Designed and made in Denmark (a country that truly appreciates the joys of bike riding and do so successfully and safely), this camper folds up for transport, and unfolds when reach your destination. Inside is sitting area with table, which converts to bed for 2 people, and outside has a table option for cooking and eating! The video below shows you how it all works! If you travel by car, bike or motorcyle, there is a camping shelter for you! 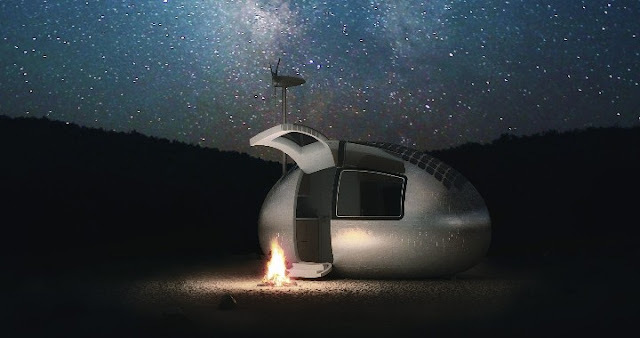 If you liked this story about different ways to go camping, you might like to read up on some of the latest camping gadgets we've seen this year.